We've covered the Amazon Echo extensively and the company has been running a series of ads as of late, featuring several amusing spots with Alec Baldwin, which began at the Super Bowl with Dan Marino featured in that particular one. Now the company is trying to further its inroads into everyone's home with two new companion products for its popular device, even as it continues to push updates to the current offering. First up is the Echo Dot, which is a mini version of the Echo. It can be plugged into a stereo system by wire or connect with it via Bluetooth. This brings all of the Echo music capabilities to your home theater system. Customers can also use it in the bedroom as a "smart alarm clock". There are a couple of catches. First, this is only available to Amazon Prime customers and, second, you have to be a current Echo owner as orders are only being taken through Alexa Voice Shopping. It will set you back $89.99. 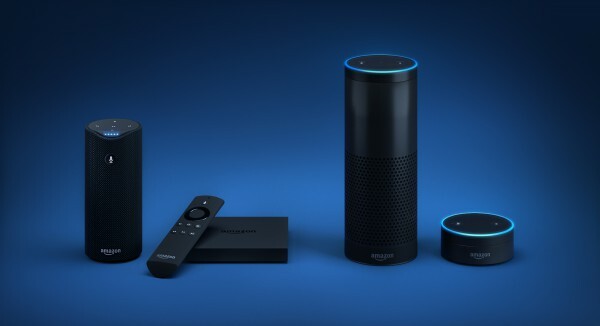 Next up is Amazon Tap, which also pairs with the device you have. This is essentially a portable version of the Echo. It doesn't always listen, though. You'll need to "tap" the button on it to alert Alexa that you have a request. It works with both Wi-Fi and Bluetooth. The company touts that "Amazon Tap has dual stereo speakers with Dolby processing that provide crisp vocals, extended bass response, and 360 omni-directional audio". This device will retail for $129.99. The Dot is available right now, while Tap is open for pre-order, though a shipping date was not announced.